Every morning, the fine folks at Sports Radio Interviews sift through the a.m. drive-time chatter to bring you the best interviews with coaches, players, and personalities across the sports landscape. Today: A new USFL tries its hand. Jeff Garcia joined WDAE in Tampa to discuss the rebirth of the USFL, the folks who are behind bringing it back, how it will be different from some of the other professional leagues that are out there and how it will be run similarly to the NFL. "That's part of what I'm doing. 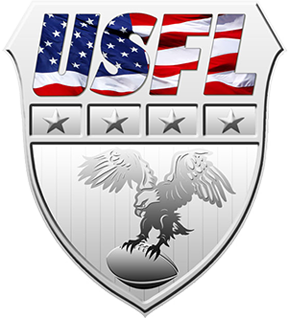 I've been named on the board of advisers for the USFL, bringing a league back that I think is very much needed in the sense that their approach will be more of a developmental league for the NFL. It'll be a spring league. It's not going to compete with any college football, any pro football at the same time. It'll give some of these kids an opportunity that are coming out. … The USFL can bring back that name recognition, bring back a plan where they're playing in the spring time, get a TV contract of some sort, get some marketing support, some sponsorship support. I think this could be a league that would not only help develop players, but develop coaches, develop management staff, develop scouts." "Fred Biletnikoff Jr. was one of the guys that approached me. Obviously his dad is now on the board of advisers. There have been a couple of gentlemen that have been very involved in the NFL for a number of years. Jim Steeg, who was involved with the Dolphins and Chargers, helping bring the Super Bowl to San Diego. James Bailey, who was with the Cleveland Browns for a number of years and then with the Baltimore Ravens. … So you have some people that have been very involved in the NFL, especially on the front-office side of the world that understand what it takes to run a league, run a team, which I think is very important." "Unlike the UFL, that has tried over the past few years to get themselves going, the USFL will not lock a player in contractually if the NFL wants to go pick him out of the league right now. I think that's one of the great things. Granted, you may only have a few guys that get picked out of the USFL to the NFL, but if you give everybody that dream that they could possibly use this as a stepping stone, that's what the whole thing, the vision, is all about." "They're pretty much looking at the exact same product, pretty much looking at the same rules, keeping it relatively all the same as far as the NFL is concerned. The main thing here is to try to get spread throughout the country with eight cities initially and be in cities that don't have a professional football experience, but have maybe great college experiences. Cities like, even Tallahassee has been a city that's been mentioned because of Florida State's greatness there and not having necessarily Tampa or Miami anywhere close by. … Cities like Omaha in Nebraska … Salt Lake City, Portland, Oregon. … They're looking at the structure, from a league standpoint, of how Major League Soccer runs its program, and really trying to keep things under control - not try to pay out a lot of dollars, although the dollars that are paid out to the players will be very respectable." • Frank Mir won't bet on himself against Junior dos Santos. • Santana Moss says the Redskins need to get better for RG3. • Danny Ainge knew Philly would play a tough series.